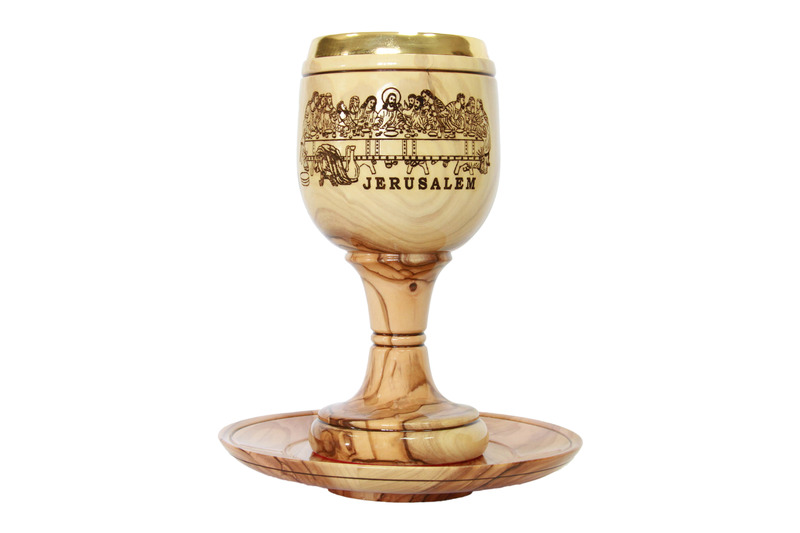 This unique chalice and plate made from locally sourced olive wood and crafted by artisans in the Bethlehem area. 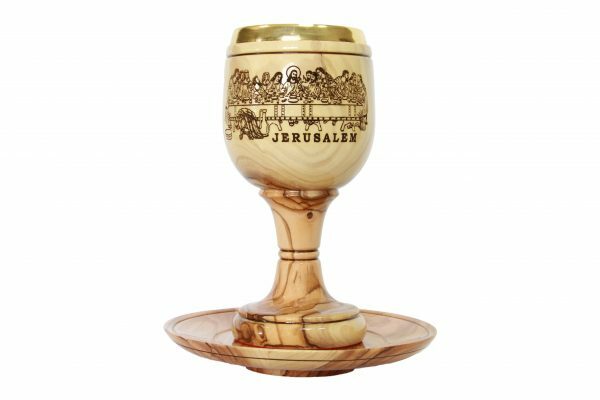 This chalice and plate are made from locally sourced olive wood and crafted by artisans in the Bethlehem area. With its beautiful smoothed surface, it makes for a wonderful display on the altar or prayer table.